Last weekend I picked up this piece of architectural salvage at the Long Beach Flea Market. I was originally attracted to the rust and chipped paint, and the graphic pattern was an added bonus. When I got it home, I cleaned it off with a brush then added bumpers to the bottom. It sat in a middle of my table for a few days while I figured out what to do with it. 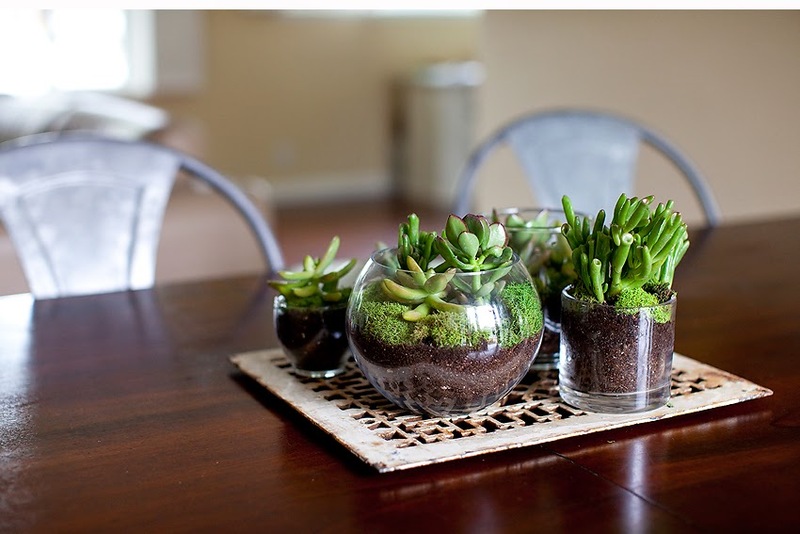 I had been wanting to make a terrarium after I read about them on The Brick House blog. After finding a few glass vessels around the house and a quick trip to Lowe’s, I set to work. The process goes something like this…fill the vessel with rocks, it’s the drainage system. Add some soil (you can buy it for palm and cactus, which works best), then dig a little whole to transplant the succulent. 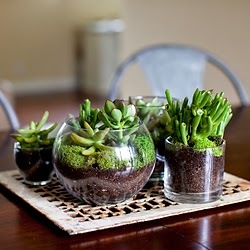 Arrange more soil on top, give it a little sprinkle of water and add some moss.